Small size, High torque, High speed & Low rotor inertia. Rotational speed is proportional to the input pulse rate (pulse frequency). Angle error (Positioning error) is very small and is not accumulated. Biggest self-holding torque (Holding torque) is generated in the state of exciting the motor windings. Even in the state of non-exciting, some self-holding torque (Detent torque) is generated because the permanent magnet is used. 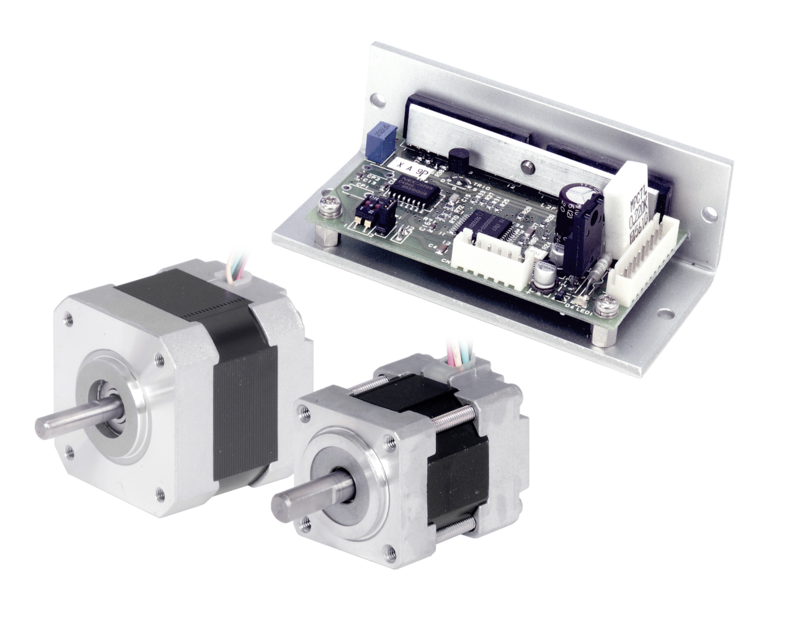 5-phase step motors have the superior characteristics of resolution, vibration, performance and others compared with 2-phase step motors. 0.72° for full step and 0.36° for half step. These are the resolution of 2.5 times compared with 2-phase step motors. Low vibration and smooth rotation, because the torque ripple is small and the variation of operating torque is extremely small. The out of synchronization caused by resonance is rare in the range of low and middle rotational speed unlike the conventional 2-phase step motor, and it is capable of controlling the fast positioning by means of slow-up and slow-down the step resolution is 2.5 times as accurate as the conventional step motors. 3A Max. 3.5A Max. 3.5A Max. Excitation of motor is OFF for photo-coupler ON. Excitation of motor is OFF for photo-coupler ON. Excitation of motor is OFF for photo-coupler ON. 0～40℃　90％RH Max. 0～40℃　90％RH Max. 0～40℃　90％RH Max. -10～70℃　90％RH Max. -10～70℃　90％RH Max. -10～70℃　90％RH Max. 3A Max. 0.8A Max. 3.5A Max. 0～40℃　85％RH Max. 0～40℃　85％RH Max. 0～40℃　85％RH Max. -10～70℃　90％RH Max. -10～70℃　85％RH Max. -10～70℃　90％RH Max.